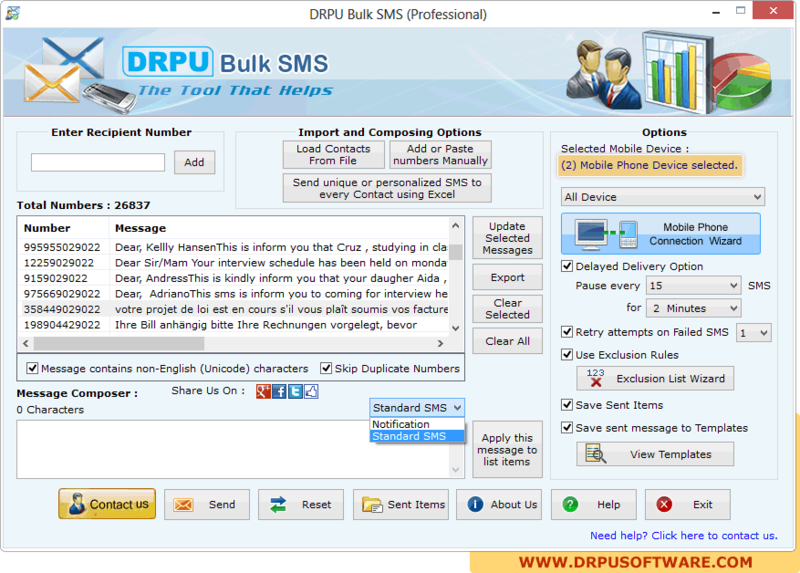 Select your mobile phone device for sending bulk sms. 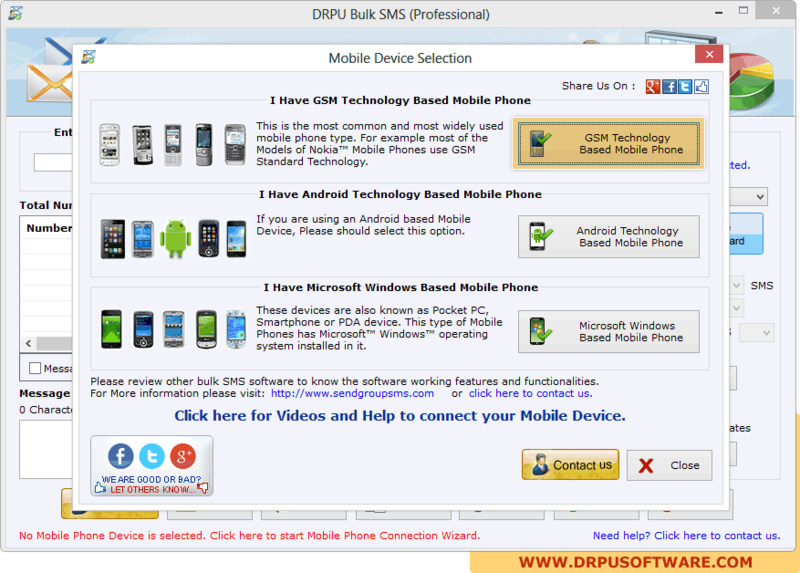 In above screenshot GSM technology based mobile phone is selected. 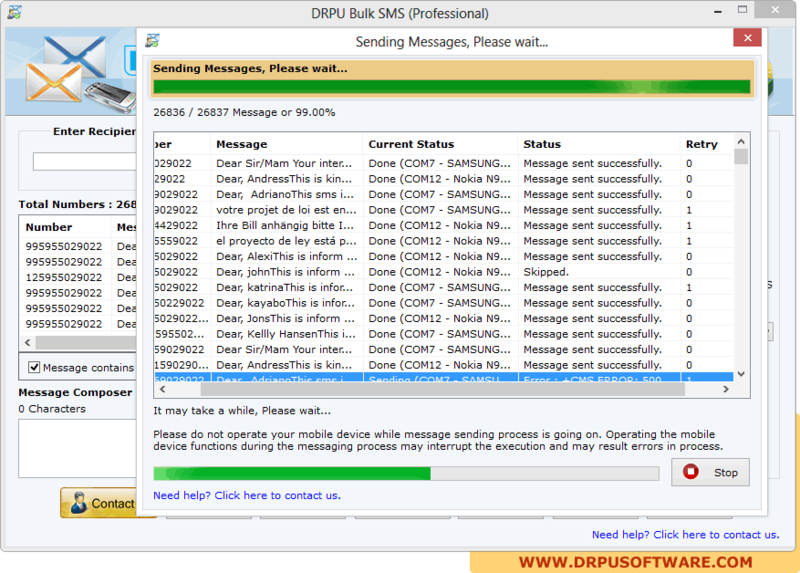 Click on “Load Contacts from File” button to load contacts, click on “Send” button for message sending process. Currently performing message sending process. On clicking “Stop” button, user can stop message sending process.